For years, climbers with difficult long-term projects or heinously steep sport routes would leave their old aluminum quickdraws on the cliff long-term. The difficulty of removing quickdraws on severely overhung terrain combined with the amount of time a project can take to complete prohibited frequently cleaning draws. The problem is, standard quickdraws aren’t constructed for long-term installation–the aluminum biners quickly wear down and sun-bleached dogbones lose a significant amount of strength. Luckily, a number of companies now offer permadraws designed for long-term installation, with durable steel carabiners and long-lasting dogbones. We reviewed one such permadraw, the Omega Pacific Dura Draw. The Dura Draw consists of a wiregate steel carabiner, a steel cable dogbone protected by rubber tubing, and a steel mallion on the bolt end. The bent wiregate carabiner, a captive version of the Gym Pro, makes for an easy clip. This alone is something that immediately stands out. Most other permadraws have a heavy solid gates that can be more work to clip. The steel carabiner is also rather beefy (40kN major axis) which is great for crux spots that will see a lot of whips. One unique feature is the date label. It allows the developer to write the installation date on draw — beneficial when trying to determine how long the draw has been hanging. But this could just be good intentions and time will tell if the installation date remains legible over time. We recommend adding some clear tape over the marked date to increase longevity. There are three popular options for permadraw dogbones: Standard nylon, chain, or cable and rubber. Nylon is the lightest and the most comfortable to grab, but doesn’t offer any extra weather resistance. Chain is the strongest and often the cheapest option, but is prone to rust and is unpleasant to grab. Cable and rubber dogbones, such as those on the Dura Draw, offer the best weather resistance and the most durability. The rubber casing on the Dura Draw is generally comfortable to grab, although it’s possible to snag a sharp edge at the very top (ouch!). The Dura Draw comes in at 280 grams which is more than double the weight of normal quickdraws but standard for most cable or chain permadraws. That said, unless you are installing these on lead, the weight is largely a non-issue. We liked that the strength comes in at the 22 kN standard, stronger than the 16 kN that you see on some popular permadraws. While 16 kN, about 3600lb, is plenty strong, it is a lower spec than is standard on other climbing equipment. The “gold standard” for permadraws has been the ClimbTech Cable Draw. Part of this recognition is because the draws are highly customizable and also because there hasn’t been much competition. The ClimbTech Cable Draw starts at $18 for the 16 kN version and $20 for the 22 kN draw. Buying a 22 kN Dura Draw means you pay a dollar less and get all the same features plus the installation date tag. ClimbTech’s Cable Draw, $18-26 depending on strength and length. The permadraw lineup does get a little hazy with these other products: Trango’s Blue Steel and Gym quickdraws and CAMP’s Gym Safe Express. These “permadraws” have polyester dogbones so they’re not meant to be permanently left on a route. Their intended use would be a indoors, a season of outdoor use, or for a personal project. The cost is similar to the Cable Draw or Dura Draw. The only real disadvantage to the Dura Draw is that it’s only available in a single length, 13.5 inches end-to-end. Most other companies offer at least standard and extra-long versions. ClimbTech even offers custom sizing from 13″ – 36″ along with blue or gray color choices. At $18.95 a pop, the Dura Draw can feel pricey. 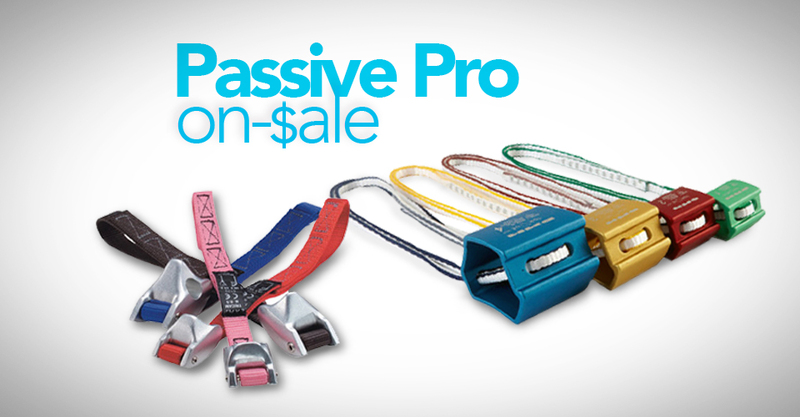 But if you were to buy the steel carabiner and mallion separately, you’re already over $19, so you’re essentially getting the swaged, galvanized steel dogbone for free. And in this case, we feel the price reflects the value. The easy-to-clip wiregate carabiner and the long-lasting cable dogbone make it an obvious choice for steep sport routes or convenient single-pitch anchors. At the end of WeighMyRack blog posts we list where you can buy the products mentioned above. Usually these are affiliate links (WeighMyRack gets a commission if you click them and buy something). This time, we don’t have any of those links. But we do have regular ol’ links to other great retailers that carry the Dura Draw. You can buy the Dura Draw from Omega Pacific, Backcountry Gear, Rabbit USA, and Aerial Adventure Tech. From alpine peaks to burly sport routes, WeighMyRack Ambassadors Jason and Charlie live and breathe climbing. From Smith Rocks to road trips across the country, you'll run into them having good clean fun pulling hard, going big, and getting after it.